I absolutely adore this stamp set and papers from Stampin' Up! There is a stamp in the set that gives that watercolor swatch impression. No coloring on this one...just card stock, patterned paper, stamps and ink. This was super quick to put together and I just love the soft tones on the patterned paper. 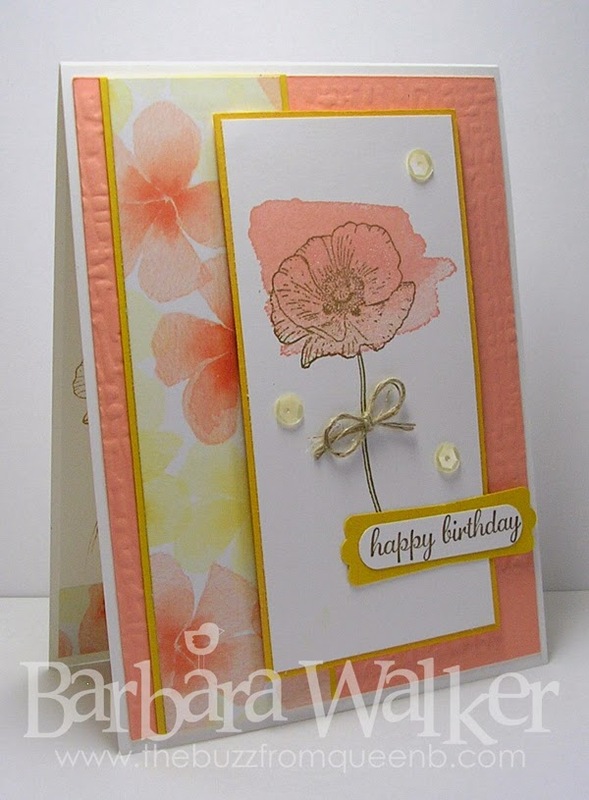 I used a texture plate on the cantaloupe card stock and adhered that to the card base. Then I did a bit of stamping. I tied on a linen thread bow, added a few sequins and a sentiment and my card was done. That's it for me today. Thanks for stopping by. supplies~ All Stampin' Up! Others are noted. 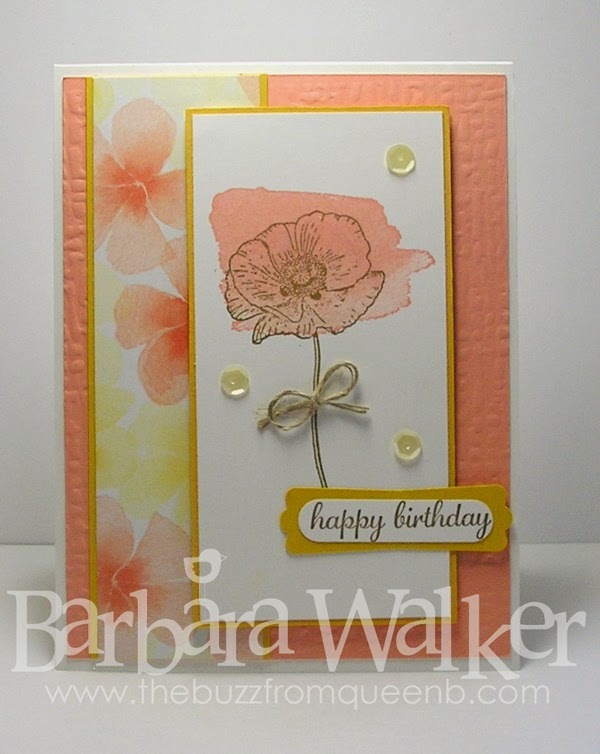 Wow, Barb, this is so soft and feminine looking...beautiful! I really like that cantaloupe color. Happy Birthday to your daughter. Hope she has a fabulous day!